Courtney Act gave her hot straight roommate a drag makeover on Celebrity Big Brother last night that left us gagging and left the other housemates shook. Before we meet his drag alter ego Betty Swollock, lets meet Andrew Brady first. 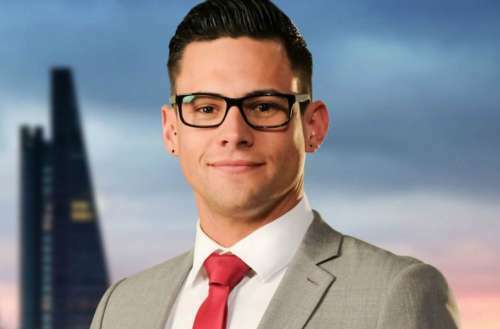 Andrew Brady is a 26-year-old engineer who previously appeared on a season of the UK’s edition of The Apprentice. 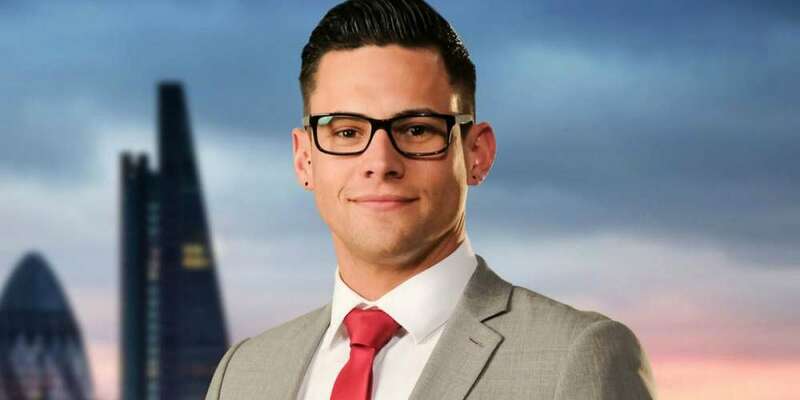 Brady admits that he sometimes struggles to hold his tongue, especially if people are not pulling their weight – which can get him into trouble. Well on last night’s episode, Brady decided to try out some lashes and heels courtesy of Courtney Act. “I’ll drag up for dinner,” he told her. After Courtney Act did the make over – which included a full tuck and all – all the housemates seemed to love the look except for conservative Ann Widdecombe and India Willoughby, who is transgender. Earlier, Willoughby revealed that she has a “drag phobia.” After Betty Swollock came out, Willoughby looked extremely agitated. Courtney Act, came over to ask: “Are you having a traumatic response?” at which point Willoughby appeared to be crying. “So India, quite rightly, made a huge fuss about being misgendered, but yet she then says that drag queens scare her. Isn’t that also discrimination?” asked one housemate. Willoughby explained later that she doesn’t like drag because to her, it’s the same thing as blackface. Over the years, [I’ve had to experience] a lot of laughter and I know it’s not meant that way, that the people who perform drag don’t do it intentionally like in the old days and the black and white minstrels used to put on a show and everyone would laugh and cheer and it was the top-rated show in the country. But you know, obviously, black people would find that offensive. I just want to make it apparent why I got upset. Brady explained that he got in drag because he wanted to expand people’s perception of heterosexuality and masculinity. “I’m a heterosexual male from the North. Okay, if I go down to my working man’s local pub and I sit there; I’ve got Dave, I’ve got Dan and I’ve got John. And they’re all big lads drinking beer friends.